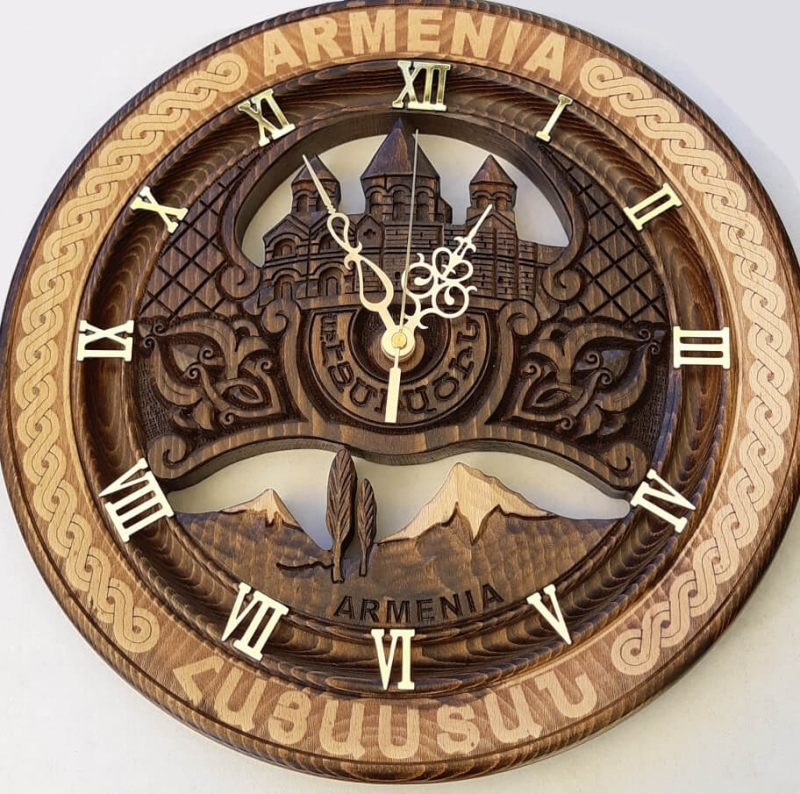 The Mount Ararat and Etchmiadzin Cathedral are carved on the clock. 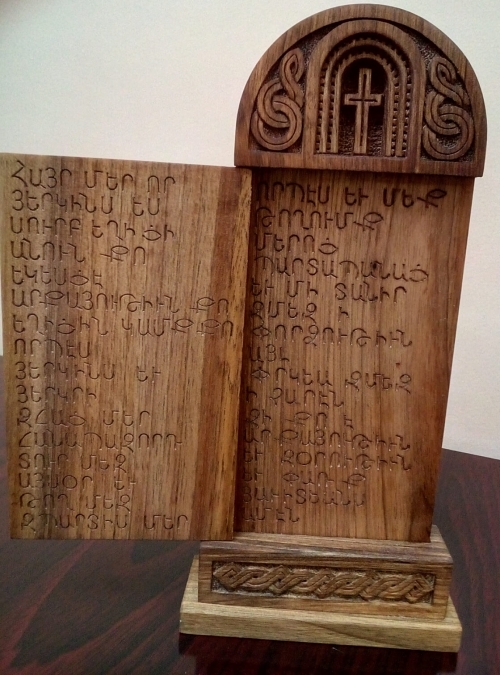 The Armenians call Little Ararat sis and Great Ararat Masis. Mt. 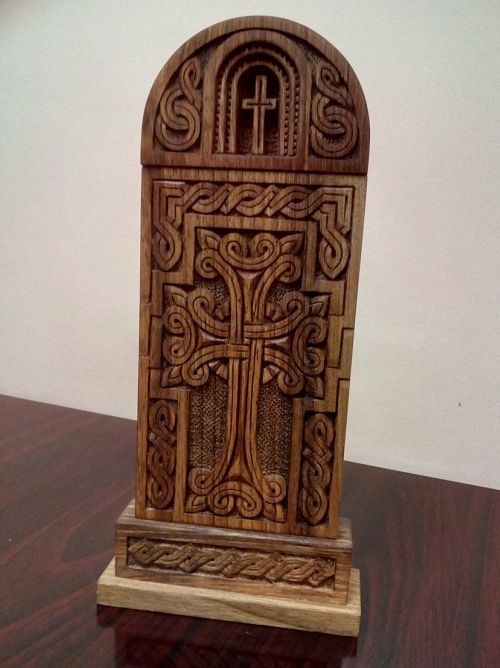 Ararat has been widely accepted in Christianity as the resting place of Noah’s Ark. Etchmiadzin Catherdral is the mother church of the Armenian Apostolic Church, located in the city of Vagharshapat (Etchmiadzin). It is considered to be the first cathedral built in ancient Armenia, the oldest cathedral in the world.